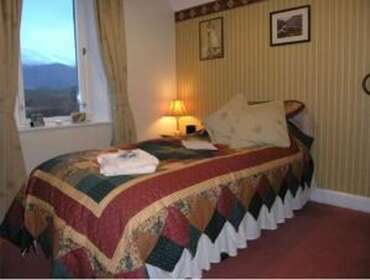 From our vantage point, we look right out onto Ben Nevis, Aonach Mor and the Gray Corries. The location of Achnabobane Farmhouse provides an ideal central base for exploring The Highlands to best advantage. Even journeys covering the length and breath of Scotland can be achieved from Achnabobane - with plenty of time to spend when you get to your chosen destination, within reason of course. Previous guests have travelled as far north as Thurso and Castle of Mey and even across to Edinbugh, although they do admit the Islands, except Skye, are a little more tricky to 'do' in a day! Or take the Road to the Isles (A830) northwest from Fort William to end at the fishing port of Mallaig. This is one of Scotland's most scenic routes, with both road and the famous West Highland Steam railway (of Harry Potter fame) running through a region of rugged grandeur. An absolute 'Must' for any Motorcyclist. Along the way, why not stop off at Glenfinnan where the monument commemorates Bonnie Prince Charlie's uprising stands in a setting of incomparable scenic beauty. Opposite Loch Sheil and the monument, is the now famous multi-arched Glenfinnan Viaduct of Harry Potter fame. Further on the great mountains give way to an equally stunning coastline around Arisaig and beyond. The beautiful White Sands of Morar that featured in the film Local Hero, are yet another draw to this spectacular region. Alternatively, you can simply chill out and enjoy the local area, famed for its wide variety of outdoor pursuits, wildlife and numerous attractions and places of interest to see. 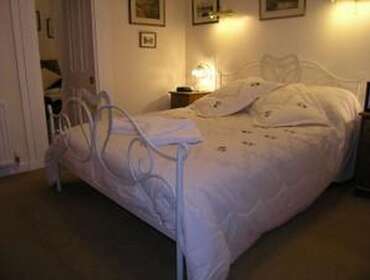 1st floor Standard single bed room. South facing with views out to the Nevis Mountain Range. Shared bathroom on same floor. Bath/Shower combination. Consists of a double King bed with interconnecting doors leading to a single bed room with shower en-suite. Both rooms have independent access to the hallway. Suitable for disabled with minor mobility issues. 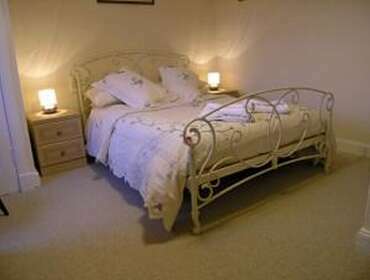 1st floor Standard Double bed room. South facing with views out to the Nevis Mountain Range. On a good day it is possible to see Ben Nevis clearly. Shared bathroom on same floor with shower/bath combination.